We have been on the road for what seems like the whole summer. Jane has been buckled in her car seat and hitting spots all over New England since she was born. We took our first trip with her to Vermont when she was just two months old. Last month we spent several days at my parent’s house in New York, and she was on the road again this weekend for some slumber partying at my in-laws house as we headed to a wedding in New Hampshire. We still haven’t tested her travel-experience on an airplane, but she’s been putting some miles on that car seat! I’m so grateful she’s been a good traveler for us, especially in the car, because we’re road-trippers at heart (if you’ve been following along for awhile you might remember that my husband and I drove across the country for our honeymoon!). Much like our overall baby-gear mentality, we’ve tried to keep packing for Jane to a state of minimalism. 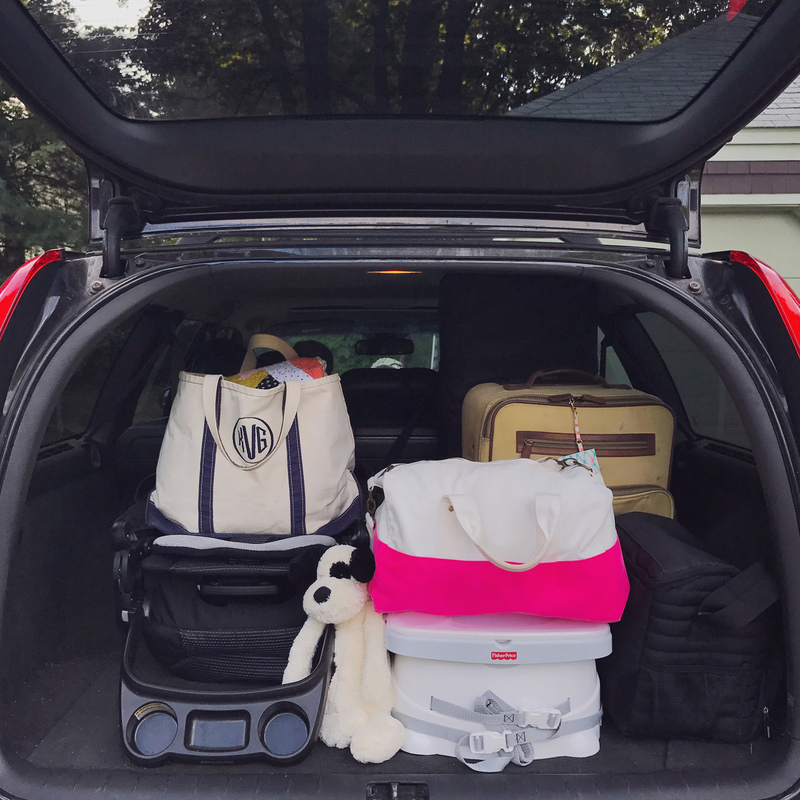 We have found a few key “on the go” products that have made it way easier to keep her happy (and us less stressed) as we travel. I thought I’d share a few of our favorite travel products for babies here to help other moms that are planning for family trips! Sleeping. The biggest challenge when traveling can be getting a baby to sleep in new places. We have the 4Moms Breeze travel crib and I can’t say enough good things about it. 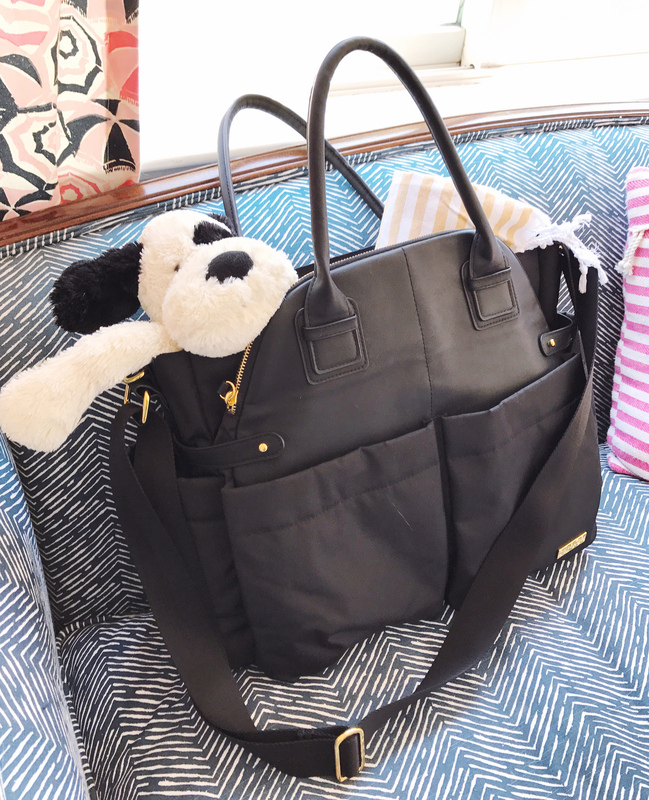 It’s one of the few travel products I’ve ever owned (non-baby items included!) that actually packs up easily into it’s carrying case, as if it just came out of the box! My aunt gifted it to us for our baby shower and we’ve used it so much. Jane slept in the bassinet top in our room for the first few months of her life, which I think has helped her sleep in it with some ease when we’re traveling. 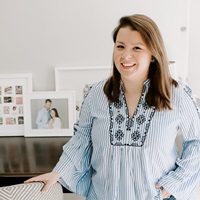 Outside of the travel crib, I only have a few sleep aides we throw into our overnight bag: her favorite bedtime story books and stuffed dog some pacifiers in a travel case, and if we’re going to be in a house where she might be far away from the living area, our audio baby monitor. A white noise app on our phones has also been a big help for sleeping in new places. Feeding. One of our friends raved about this simple travel booster seat for feeding on the go, and we took their recommendation and just got one for Jane. It’s great for traveling – we borrowed one from my cousin when we stayed with my parents and Jane loved eating with us at the table. 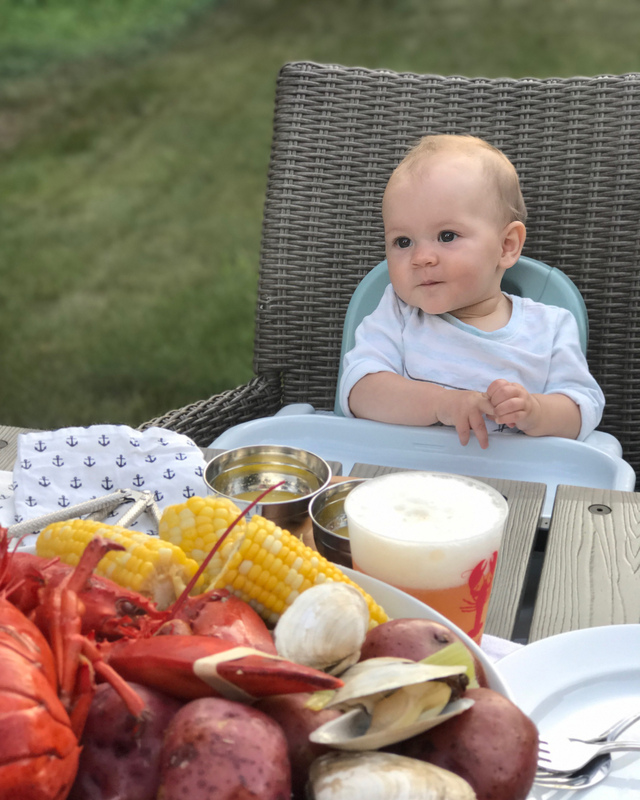 While I hate buying tons of bigger baby gear, we rationalized the travel high chair purchase because we can also use it for shorter outings, like heading to our in-laws for a BBQ, or even bringing it to the beach on the weekends. We’ve been using a bunch out in the yard this summer too so she can eat on our patio without bringing the big high-chair outside. I wrote recently about Jane’s transition to solid foods, and raved about the OXO glass baby food containers. They’re awesome for travel too; in addition to storing her pureed food in them I portion out puff-snacks and formula in the little containers. I also keep a travel baby spoon in a carrying case in our diaper bag for on-the-go eating, and love this SkipHop travel bib. The bib is super cute and it folds up into a teeny-tiny little pouch! Another little tip I’ve used for traveling: filling up a S’well water bottle with warm water so I can make bottles on the go, it keeps the water warm for hours! On The Go. Other than those few items for sleeping and eating when we’re traveling, I pack up Jane’s clothes and toys and diapers in a big canvas boat tote. If we’re just going somewhere for a day trip we’ll use our bigger SkipHop diaper bag with a few more diapers and wipes than normal; I also always throw in the diaper disposal bags for changing her in the car or wherever we’re staying. We use our Chicco Bravo travel system for trips big and small – the stroller is relatively compact and light for a full-size model and can do double duty as a place to nap or feed her. That’s it! 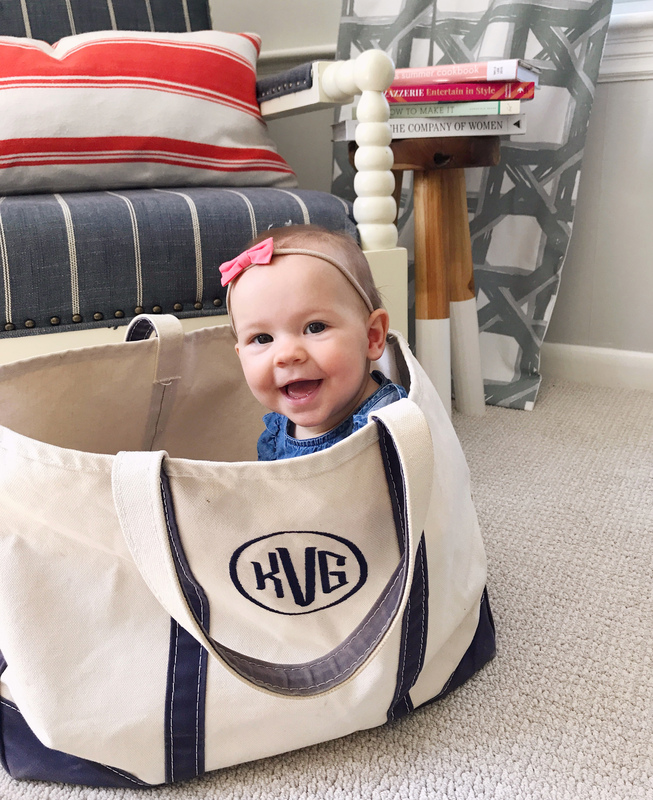 Just about ten products that make traveling with a baby easier, while still keeping things simple – because the less I pack for baby means more room in the car for picking up treasures on our adventures! Do you have any go-to travel products for kids that I missed? I’m all ears for other smart solutions! 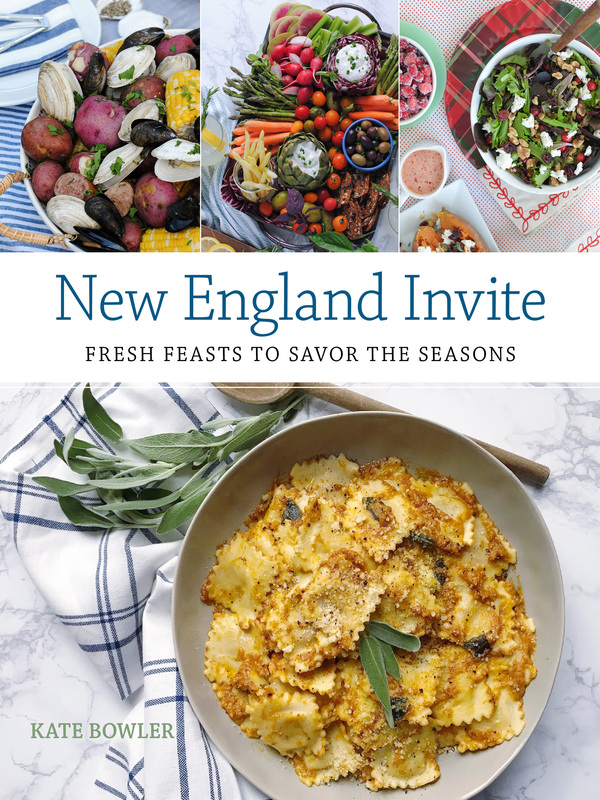 Last-Minute Summer Entertaining. Iced Pumpkin Spice Coffee and Mini-Pancake Brunch. 4 Responses to "Traveling with Baby." what size boat and tote bag do you have? I’m looking to get one for my little one – I figure would be great for daycare, beach, etc – but not sure if I should go with a medium or large. We bought the 4Moms Breeze travel crib and I couldn’t agree with what you’ve said more. It’s really awesome and definitely one of the best travel items that we have. Thanks for sharing this. It’s the best! Thanks for reading!